U/U Zot Blog – Read all about the experiences of our U/U Freshmen! Read all about the experiences of our U/U Freshmen! You are part of an extraordinary group of students selected to come here. One of your first concerns may be finding a solid friend group. As someone who is incredibly socially awkward and a commuter, if I can make friends than anyone can. No matter how late it gets into the quarter or even as more pass by, you should never stop going out of your way to say hi to someone new. Especially when you’re shy I know how hard it is to strike up small talk. But questions like their major, what year they are, and what other classes they are taking are some pretty easy ice breakers. You would be surprised at how the random people you initiate a conversation with end up becoming part of your support system. Another fear may be adjusting to the quarter system. The ten weeks do go by pretty fast and midterms sneak up on you out of nowhere. However, as long as you get your senioritis out of your system during the summer, eventually you will get used to the quarter system’s fast pace. You hear this all the time but try to avoid procrastination. That one nasty habit has killed my sleep schedule and the stress resulting from it has probably shaved a few years off my life. Especially when it comes to midterms and papers, start contributing an hour of your time every day for the week prior the deadline rather than staying up the night before. There are going to be some very difficult times ahead. Stress from an upcoming paper or midterm may make you wonder why you even chose to come here or feel that you are out of place. But you were accepted here for a reason. It is during these times to also remember balance is important. When everything feels overwhelming, it is ok to take a few moments to step away and take a break. I go to the gym on a consistent basis with friends and every Friday after classes we will grab lunch together and rant about our week. School is important, but so is your health. When you set time aside to study, make sure you also have more than enough time to sleep and a few moments for yourself to breathe. Overall, thank you for choosing to come here. These upcoming years will be hard. But they will also be some of the best years of your life. 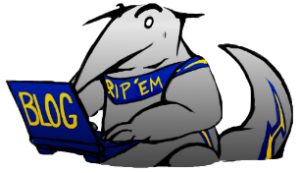 Congrats on becoming an Anteater! First, you have just been admitted to the University of California, Irvine as an Undergraduate/Undeclared, and you cannot even imagine how lucky you are. You might have already been discouraged by that fact, but I am not trying to tell you that it is not that bad, instead, I want you to understand that it is even better than being admitted directly to a specific school within the University with a specific major. I want to address all the negative things you might have heard or read somewhere right away so we have it sorted out and don’t come back to it later. There certainly are some difficulties when signing up for classes required to declare your intended major because they are extremely popular and students who were admitted with a major can enroll right when their enrollment window is open without having to wait until the fee deadline and restrictions lift, but I do not know any undeclared student who wasn’t able to eventually get into the major they wanted to. They might have declared a major that is different from the one they wanted when applying, but this is because they changed their mind while trying other fields, and not because they were not able to take required courses. The main reason why Undeclared is the best option for you is, obviously, because you are free to take any courses and to try anything you want. And this is so cool because you have another chance to decide what you want to be in the future. You can also try the major that you wanted when applying to college in real life and maybe change your mind about it. In this way, you are protected from the situation where you realize that you do not like your major at all when you’re in your junior or senior year and cannot really do anything about it. Undeclared is really a perfect opportunity to define your future by yourself being able to actually try things on your own instead of looking for someone’s opinion or advice. Being an Undeclared student gives you access to your own helpful academic advisors, just as you might expect to have in other departments. These people are ready to help and advise you and work hard to meet your expectations and make sure that you are doing great! Also, if you worked hard enough to earn a 3.5 GPA in a quarter and made it to the Dean’s Honor List, you will be invited to a nice reception, where your hard work and accomplishments will be praised and appreciated. I wish this has been enough to persuade you to think that Undeclared is a good thing. I will be really happy if you decide to join our warm and friendly Anteater family at the best campus in the world this upcoming fall. Looking forward to seeing you on the Ring Road! First of all, congratulations on your acceptance to the University of California Irvine. It takes a lot of hard work and dedication to get here, but now you are here. If you are reading this, that must mean you are interested in the undeclared life at UCI. As an undeclared student at UCI, I find this lifestyle challenging, but not difficult. Sure, some classes are harder to get when you are Undeclared, but it isn’t impossible to get them. That is especially true for the computer science classes. These classes are in high demand, meaning that if you cannot initially get in during the first few weeks of each quarter, getting in would be impossible. Computer science is a major that everyone wants to get into, and if you couldn’t get admitted into the major when you applied here, I get it. I am in the same boat as you. However, being undeclared has its perks, such as being able to attend this school. All jokes aside, being undeclared means that you don’t have to be tied down to the classes of a certain major, allowing you to explore. Some classes restrict certain courses to certain majors, like if you are a physics major, you are not allowed to take any of the lower division easier physics classes, which you can as an undeclared. This also helps you find a major, since you can get a taste of how each specific major classes feel, and decide later what to declare. Now about me, as an undeclared student living on campus. My favorite part of this experience is the roommates. We decided for no reason what so ever on a Wednesday night to eat ramen at around 2 am, then eat a whole fresh avocado by itself, and then proceed to go skating around the resident halls. It was the wildest night we had and we still had class in a few hours. For that problem, I simply had to deal with it. Sometimes you would just have to force yourself up with an alarm or two. Other problems that might arise can be dealt with using proper channels of communication, such as emailing a professor or directly talking to a roommate. If you find yourself living in Mesa Court, a major facility you might take advantage of is the study hall right across the Mesa Court mail room. Your key card can get you in and it is usually quiet, making it a great place to study. The easiest way to navigating this campus is to know where each educational wing is where. These serve as general landmarks, making finding your classes easier. U/U staff are also a great resource to use when you are confused. They are located right next to a Starbucks and the campus book store. They are there to help make your transition to the college setting smoother, giving even more tips and tricks along the way. Congratulations! You made it into UC Irvine! You might be excited/nervous about going to college or looking forward to building your career or brimming with questions. To me, it was imagining what my first-year experience would be like. Now that I am in my near-end of my first year of college, there were several moments, events, and tips I experienced as a first-year U/U. My first lesson: try. Back in high school, I never actually tried anything new, which led to some boring years of high school. Coming into college, the first interest was applying into a business fraternity. I went to every event hosted to hopefully get selected for the interview. I was rejected. I was really devastated that time, but looking back, I think it was a wonderful and necessary experience. When networking with members, I made friendships I probably never would have met. Another example: U/U office sent out an application to apply to be a Zot Blogger by submitting two different answers to their prompts. Thinking I got nothing to lose, I applied. Two weeks later I got an email saying “Congratulations on being accepted as a Zot Blogger!”. I was shocked, because I never gave it too much thought, and answered honestly, without worrying whether I would get in or not. My point here is that I want you to try something, anything without worrying about anything. Don’t expect anything and try, and enjoy surprises from life you probably never imagined. True, some surprises will never be pleasant, but there is always a silver lining if you know where to look. Another lesson, more of an insider tip: explore. This one ties a little bit into the first lesson, but the main idea is I want you to know that your education is not limited to the courses you take. This is college, meaning there are organizations and clubs and research opportunities you should take advantage of. Mark Twain once said, “Don’t let schooling interfere with your education” and he is right. School is just scholar learning, which is necessary, but education has no bounds. Explore talking to people, because each person you make friends with is bound to teach you something you never thought of. As a U/U I felt that those with majors are already learning things I haven’t, but that is not necessarily the case. For one, it helped me discover what I was interested in studying further and what I was not. Back in high school, many people told me taking economics was not worth the effort, but after taking an econ class (which I would have never done if I had a major) I am now working on minoring in Economics. I am not saying that having a major is bad, but my point is to explore what this university has to offer. I know it’s not your ideal starter pack for success in college, but I truly believe if the above is done right, your college experience will be worth remembering.